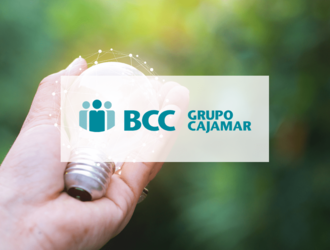 It includes all of the financial and non-financial information related to the Grupo Cooperativo Cajamar, transferring to society our triple income statement: economic-financial, social and environmental. The comprehensive report follows the main international reporting standards, allowing for the comparability of the performance of our Grupo Cooperativo Cajamar with any entity in the world on the same terms. It includes hundreds of quantitative and qualitative indicators, which show how we respond to our different stakeholders, how we manage risk and how we coordinate our business model in economic-financial, social and environmental terms. The Report is verified by an independent auditor, and serves as a Progress Report for the United Nations Global Compact, of which we have been a member since 2006, and as documentary support and verification for the report to the Carbon Disclosure Project (CDP), an international organisation that is informed of the Group's carbon footprint.